I find it quite ironic-and perhaps a bit amusing-that after all of the debate surrounding multiracial identity�and the United States�Census, the most famous son of an interracial couple and the daughter of the most famous interracial couple, checked only one racial identity on their census form. �It would appear that the heralding of an era of multiraciality via Loving v. Virginia and an�era of post-raciality via the election of President Obama leaves much to ponder.� The truth is that our rose-colored view of a landmark court case and a landmark election tends to obscure the fact that America has been multiracial since its inception. Steven F. Riley. Commenting (02/13/2012)�on the singular racial census choice of President Barack Obama and Peggy Loving Fortune (daughter of Richard Mildred Loving) in Carol Morello's article "Virginia's Caroline County, 'Symbolic of Main Street USA'," The Washington Post, February 10, 2012. http://www.washingtonpost.com/local/virginias-caroline-county-symbolic-of-main-street-usa/2012/01/26/gIQAKH0z2Q_story.html. « It’s complicated to reconcile with an appearance that conflicts with your identity, but art has been Gaignard’s outlet through which to come to terms with, explore and push the limitations of identity and its perception. 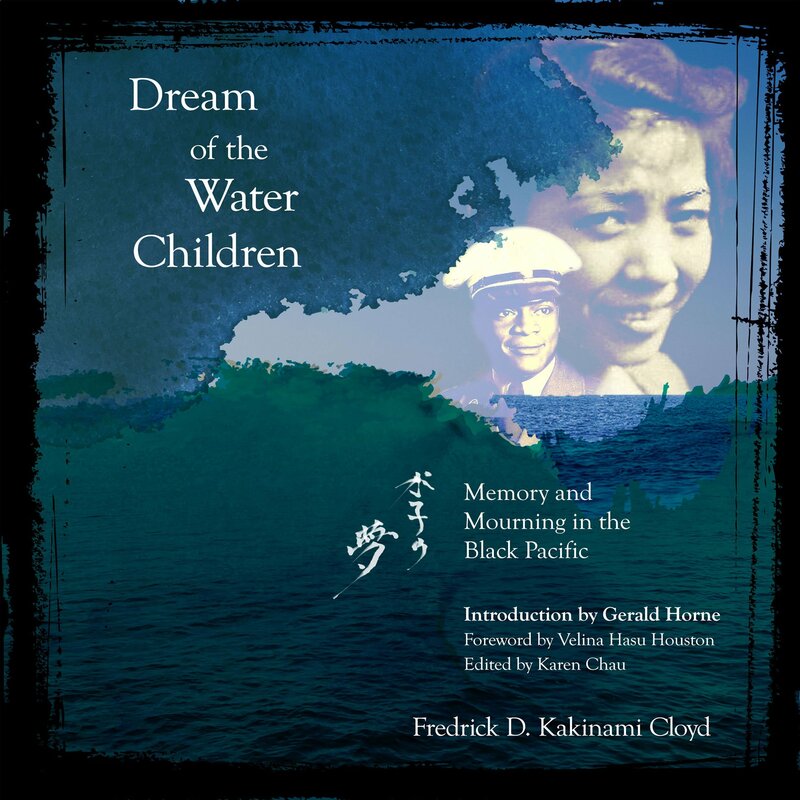 Fredrick D. Kakinami Cloyd’s debut, Dream of the Water Children: Memory and Mourning in the Black Pacific, is a lyrical and compelling memoir about a son of an African American father and a Japanese mother who has spent a lifetime being looked upon with curiosity and suspicion by both sides of his ancestry and the rest of society. Cloyd begins his story in present-day San Francisco, reflecting back on a war-torn identity from Japan, U.S. military bases, and migration to the United States, uncovering links to hidden histories. Dream of the Water Children tells two main stories: Cloyd’s mother and his own. It was not until the author began writing his memoir that his mother finally addressed her experiences with racism and sexism in Occupied Japan. This helped Cloyd make better sense of, and reckon with, his dislocated inheritances. Tautly written in spare, clear poetic prose, Dream of the Water Children delivers a compelling and surprising account of racial and gender interactions. It tackles larger social histories, helping to dispel some of the great narrative myths of race and culture embedded in various identities of the Pacific and its diaspora. This entry was posted	on Sunday, June 10th, 2018 at 03:30Z	and is filed under Asian Diaspora, Biography, Books, Media Archive, Monographs. You can follow any responses to this entry through the RSS 2.0 feed. Both comments and pings are currently closed.